Millions around the world suffer because of ignorance…. 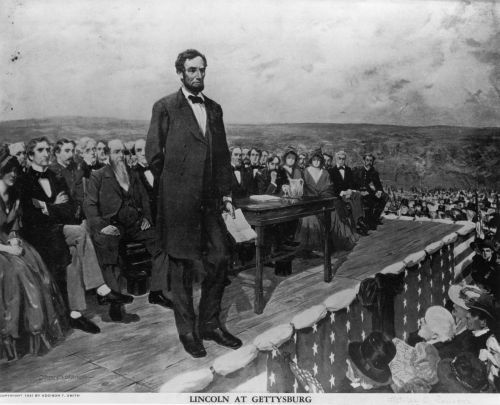 Tuesday, November 19, is #TheGettysburgAddress@150. What if we organized public readings of the address? If we had a Google Mashup, which people could use to claim a corner, we could encourage as many simultaneous readings across the country as possible. The idea would be that at, say, 12:15pm, across as many corners as possible, the Address would be read by as many people as possible. Can anyone hack such an app quickly? Can you let me know? comments at lessig dot org. For those words, uttered seven-score and ten years ago, are increasingly relevant today.